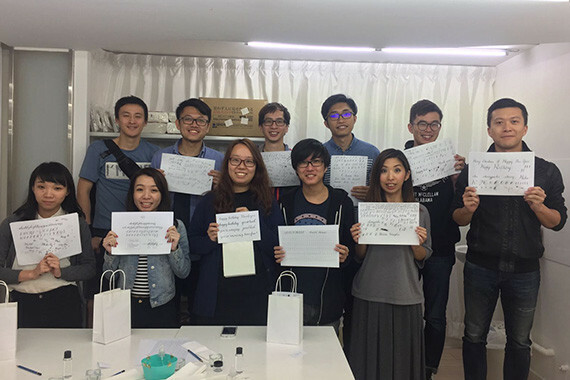 [Hong Kong] cherrians enrolled in an intensive workshop to learn the intricacies of modern calligraphy. 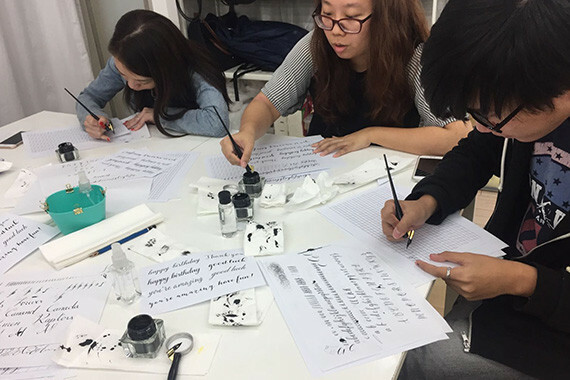 They were able to get comfortable with holding a dip pen and control the flow of ink to create thick and thin lines. 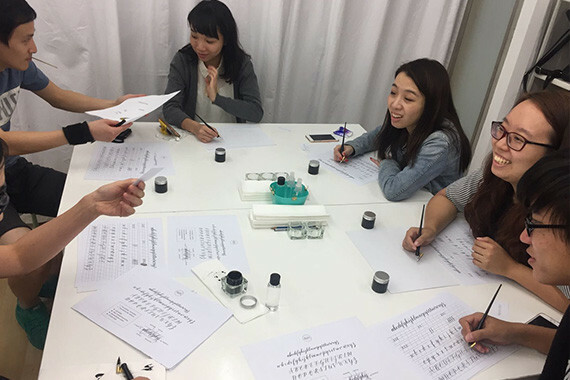 After picking up the form, they went over the basic strokes and alphabet to form words that look pleasing and harmonious. 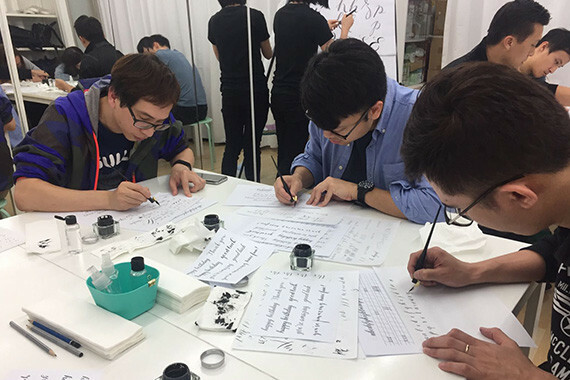 By the end of the session, cherrians were able to write a personal phrase in modern calligraphy styling.